This console generation has seen its fair share of remasters to be sure, as video game companies have been busy releasing upgraded editions of their old titles on new-gen consoles for the last couple of years. And we’ve seen remasters of everything from LucasArts’ classic adventure game Grim Fandango to Bethesda’s role-playing masterpiece The Elder Scrolls V: Skyrim, a special edition of which was released last October. But the recently released Batman: Return to Arkham, a two game pack featuring remastered editions of developer Rocksteady’s Batman: Arkham Asylum and Batman: Arkham City has sparked controversy, as some have claimed that these new-gen remasters did not look as good as many gamers expected. Looking at the comparison video below, it’s clear that the naysayers have a point: the original Batman: Arkham Asylum game for instance does look darker and moodier, and a few character faces do look better in the original edition of the game. Of course, both Arkham games are some of the best superhero games ever made and their art and graphics were considered cutting edge at the time of their release, while both have also aged pretty well truth be told, plus it’s also telling that no PC version of Batman: Return to Arkham was released, suggesting the new visuals are not miles ahead of the originals. Although to be fair to Virtuos Games (the company behind the Arkham Asylum and Arkham City remasters), these new editions of the game do feature much improved lightning, fire and smoke effects, plus distant objects and buildings look far more detailed and so do most textures in the games. 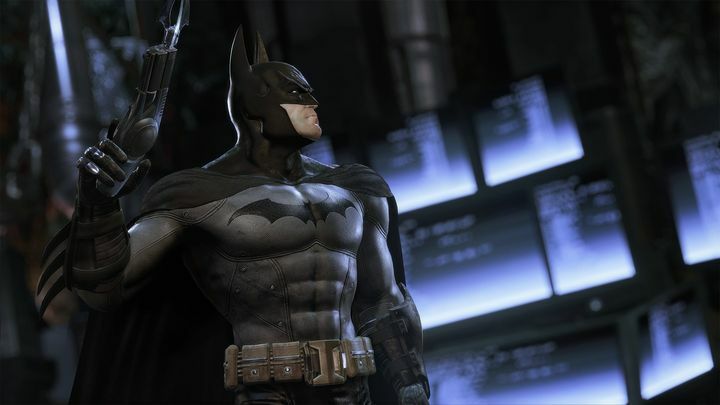 It’s logical, though, that some players are upset that the new remastered editions of Rocksteady’s Batman games don’t look better all the time than the originals, but we must also bear in mind that Rocksteady poured much more time and energy into the original games than Virtuos Games did into the remasters. Also, the fact that Warner Bros. released remastered editions of these games will allow gamers to replay these old classic on their new-gen consoles, and also let new players to enjoy two of the best games featuring Batman to have come out on any console system to date, even if aside from the original DLC there are no new extras to enjoy here. But still, other recent remasters like Ubisoft’s The Ezio Collection or the Bioshock: The Collection released last October did not push the envelope in terms of graphics either, but like Batman: Return to Arkham also let gamers enjoy some of the best games that came out during the last generation on their new game consoles, something that will be plenty enough for many.